Facing a Workers' Compensation or Personal Injury Battle and Need an Attorney? We stand ready to do what it takes to protect the rights of the injured. 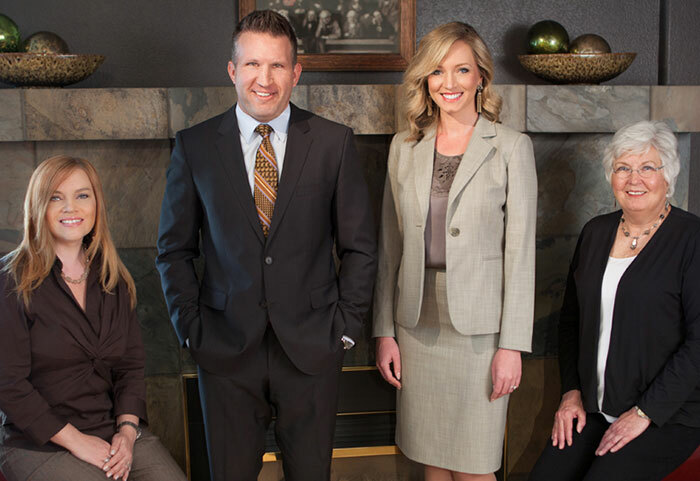 When you seek a Colorado workers' compensation lawyer or injury lawyer, you need a tough, aggressive, high-quality attorney that will help you win the justice you deserve. If you have been injured at work, in a car accident, by a negligent truck driver, by a careless property owner, as a pedestrian while walking innocently down the street, or by a reckless drunk driver, or if you are being treated wrongly by an insurance company, The Babcock Law Firm will fight for you. The Denver workers' compensation attorney you need is waiting to help you now. Corporate America has unlimited funds and hungry attorneys willing to do anything to avoid paying your claim no matter how legitimate. Fighting alone, you face a difficult and intimidating uphill battle. You'll be matched against insurance companies or large corporations with unlimited financial resources, countless attorneys and all the time in the world. Don't make the mistake of going into legal battle without backup. Let workers' compensation attorney R. Mack Babcock of The Babcock Law Firm fight for the compensation you deserve through a settlement, jury award or judge's decision. "The Babcock Law firm handled my case with great Expertise. They were very informative and helpful. They are a team that really care about their clients and fight to make sure their clients are treated very fairly. I would highly recommend them to any one in need of A workman's comp Attorney." Obtaining your Workers' Compensation Benefits - Attorney R. Mack Babcock works hard to obtain all the benefits afforded to you under the law. Enlist the help from an experienced Denver personal injury attorney that will take the time to listen to you and build a case that obtains results! Questions about the CO legal system? Helpful legal resources available – from law libraries to services – that can help you fill your prescription if injured. When you suffer a personal injury or on-the-job injury, it's normal to have questions about your legal recourses and what you can expect to happen. Not fighting your workers' compensation or personal injury case is a mistake. But taking on corporate America without the assistance of a lawyer is an even bigger mistake. Like many individuals who want to avoid being labeled as a fraud or as trying to work the system, you've probably been tempted not to hire a lawyer despite your significant, permanent injuries. This is a mistake. You deserve compensation and you should fight. Just don't go at it alone. Without an experienced workers compensation attorney, you and your family face a complex legal system that favors the insurance industry and corporate America. Our courts are inaccessible and uninviting to the everyday, hard-working citizen. No matter how severe the injuries or how minor the loss, you need a lawyer ready to match the muscle of even the largest insurance company or corporation and ready to do what it takes to protect the rights of the injured. Your Denver workers' compensation, personal injury and accident lawyer at The Babcock Law Firm is committed to this fight and ready to go to battle for you. Are you ready to take your Colorado workers' compensation, personal injury case or insurance dispute to the next level? Find out how attorney R. Mack Babcock and his staff at The Babcock Law Firm will put its mission of committed, aggressive and high-quality representation in action for you. Contact your lawyer today. The Babcock Law Firm in Denver, Colorado is a green business. We recommend saving this content to your favorite bookmarking site instead of printing it.